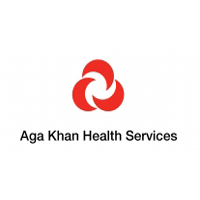 THE AGA KHAN HEALTH SERVICES, TANZANIA (AN AGENCY OF THE AGA KHAN DEVELOPMENT NETWORK) IS COMMITTED TO PROVIDING QUALITY CARE TO ITS PATIENTS AND PROMOTING MEDICAL EDUCATION. WE ARE SEEKING ENTHUSIASTIC AND QUALIFIED EXPERIENCED PERSONNEL FOR THE FOLLOWING POSITIONS FOR AGA KHAN HOSPITAL- MWANZA. The incumbent is responsible for the administration of Nursing Services which includes overall planning for nursing and its related operations for all clinical programs to ensure implementation of the mission, philosophy, patient care standards, quality assessment and improvement program, budget plan and resources, collaborating with physicians and multidisciplinary professional staffs to enhance the quality of patient care. Also assumes responsibility for the overall strategic plan for nursing operations, personnel management, annual goals and objectives, and fiscal targets. ➢ 5-10 years’ experience in Management and Administrator in clinical setting. ➢ Diploma in nursing and valid license to practice. ➢ Bachelor in Nursing will be an added advantage. ➢ Other Specialty Training or Fellowship is an added advantage. ➢ Be familiar and experienced with ISO standards. OCEAN ROAD, DAR ES SALAAM, TANZANIA.